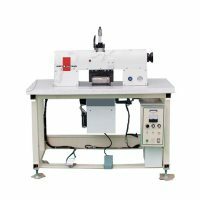 The Double wheel ultrasonic stitch sewing machine, also called ultrasonic lace machine, ultrasonic lace sewing machine, it is a equipment with high efficiency sewing and embossing. 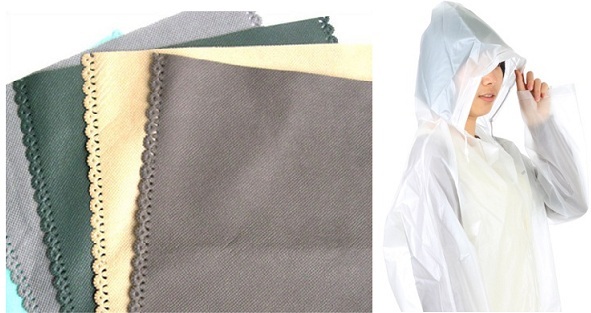 Mainly used to synthetic fiber cloth bounding edge, welding, fusion cutting, embossing etc, the process production has the characteristics of good water tightness, high production efficiency, without sewing accessories, the melt section smooth without rough edge, touch good. Widespread used to the line of clothing, toy, foodstuff, environmental protection non-woven bag, non-woven process. 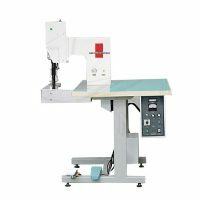 Sheetal Enterprises ultrasonic sewing machine type mainly include: ultrasonic lace sewing machine type A, Ultrasonic Gantry Frame Lace Sewing Machine, non-standard ultrasonic lace sewing, meet the need of the various sectors of the lace sewing machine. We promise: we are professional produce kinds of non-standard sewing and cutting equipment (automation equipment). 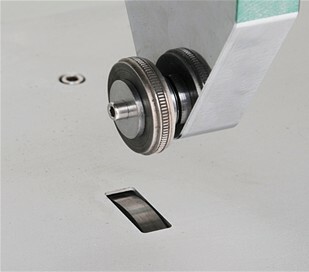 This type of ultrasonic lace sewing machine adopts unique design of upper and lower drive double wheel. The upper wheel move after the lower wheel, feeding at the same time, free and relaxed, the production smooth and uniformity, crease proof, don`t fold; the wheel is made from titanium alloy, seep into one special material, made the HRC reaches 58~60 degree, and has the characteristics of resistant to wear, long using life. 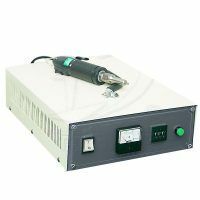 This type of ultrasonic lace sewing machine is the ideal choose for the repeat welding working, the parameters, scope, speed, pressure and welding gap is adjustable. Ultrasonic as a individual driver integration, includes transmission shaft and ultrasonic mould, it is design for the +/- 5% speed difference. 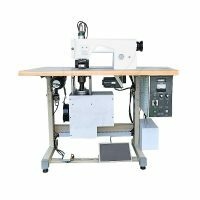 Double wheel ultrasonic stitch sewing machine can directly sewing kinds of clothes, at the same time scrap edge, open the hole, embossing, forming at one time, without rough edge, without raw edge. Double wheel ultrasonic stitch sewing machine needn`t preheat and can continuity processing, fast speed, mass production, can corner, doesn`t smoking and spark when processing, doesn`t harm to the cloth edge. Double wheel ultrasonic stitch sewing machine is easy operation, understandability, common worker can operate it. Double wheel ultrasonic stitch sewing machine uses ultrasonic, can directly bordure, gilding, suppress all kinds of diagrams, on the basics of different lining, thickness to adjust the power; the swinging radius when in welding or cutting, according to the material characteristics to adjust the automatic amplitude control. an add color paper, beaten gold paper, it can reach the function of printing, gilding when pressing. 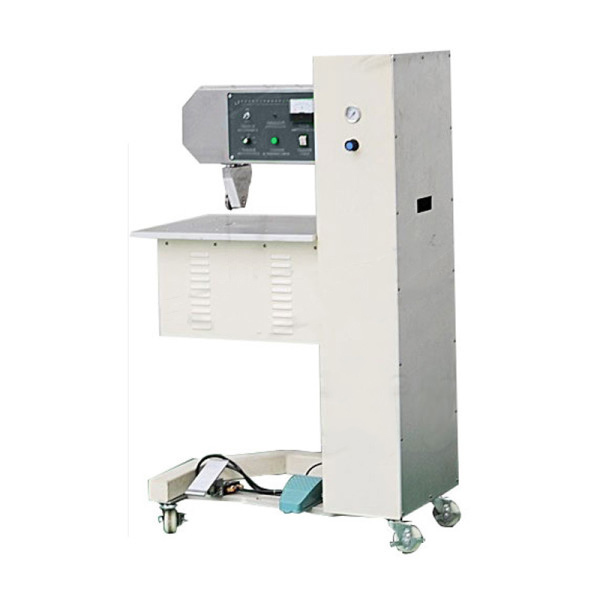 The type of ultrasonic sewing machine especially for moderate and thicker materials operations, 35KHZ capacity industrial automation ultrasonic embossing machine, slitting with high production speed.